Sprinkles of pink roses on a white background! 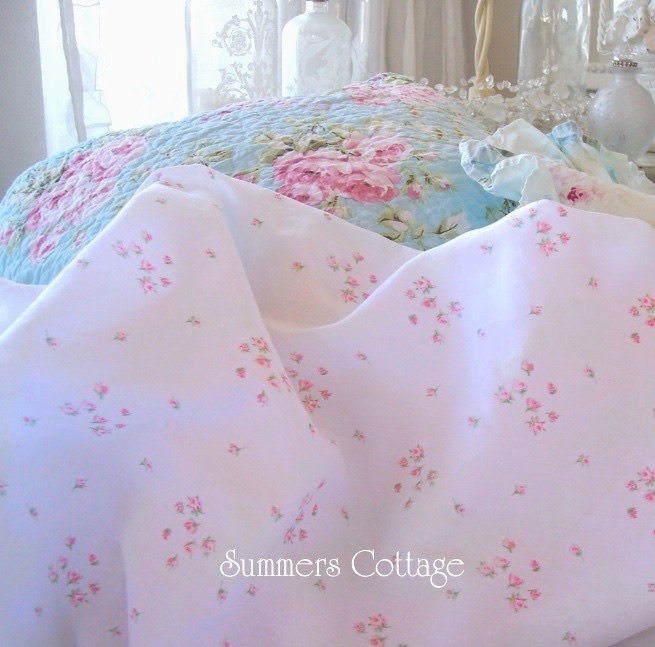 Rare Rachel Ashwell Shabby Chic Couture Sprinkles Queen Flat Sheet. So pretty! Very chic! Fabulously elegant! 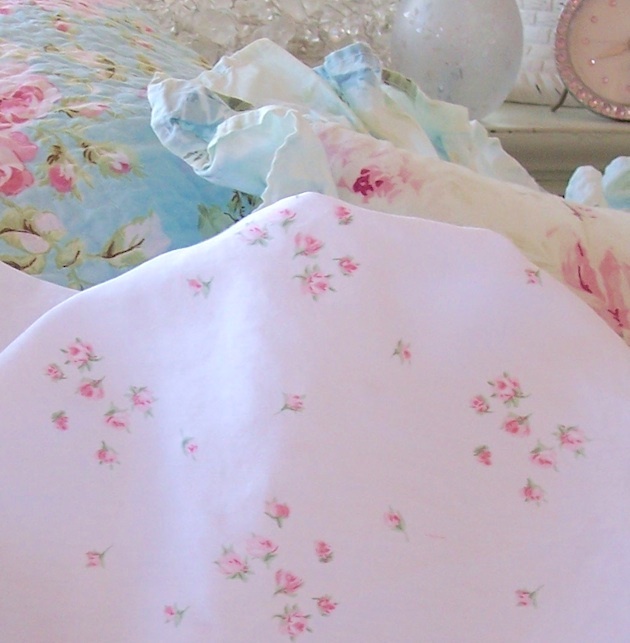 And so rare to find a baby rosebuds pink roses QUEEN Shabby Chic flat sheet! Definitely the ultimate in romantic shabby cottage charm. So beach cottage chic with the pink roses on a white background! Brand new in package with original Rachel Ashwell Shabby Chic inserts. 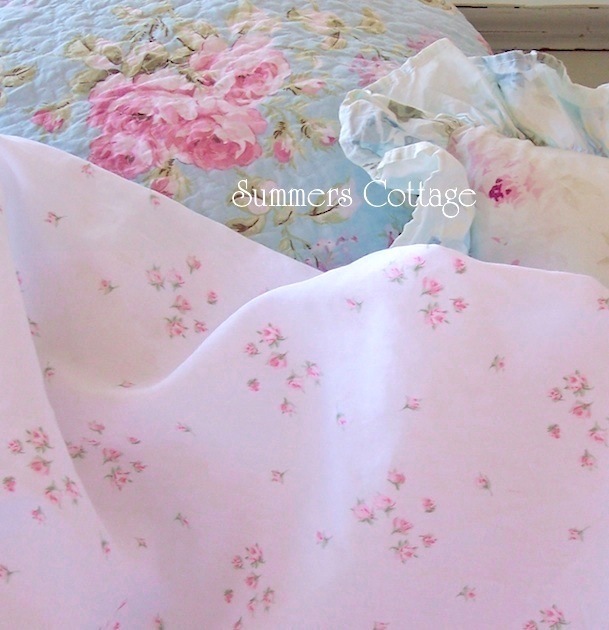 A lovely accent to all of the bedding we carry at Summers at the Cottage. 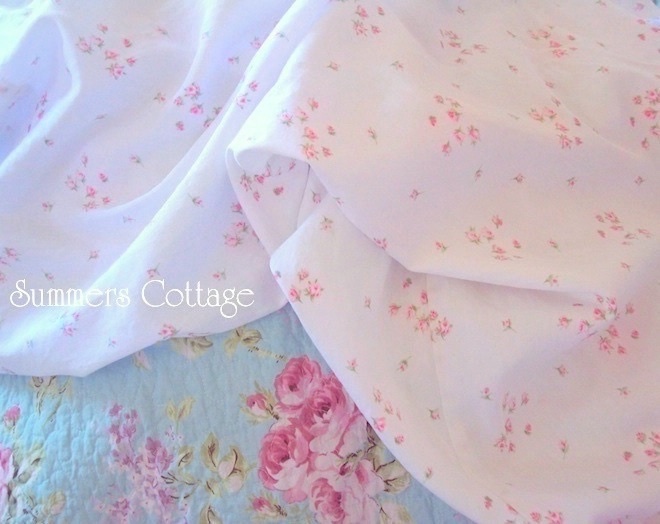 Lovely for Romantic Homes and wonderful in an English Cottage and would be so pretty in a Victorian home too. Perfect for French Country homes and great for a Bed & Breakfast or Inn!